TROY, MI -- (MARKET WIRE) -- April 3, 2007 -- Delphi Corporation's (PINKSHEETS: DPHIQ) new ultra-thin wall cable, touted for its halogen-free requirements, superior performance, durability, smaller size and recyclability, makes its worldwide debut on the 2007 Toyota Tundra, delivered to dealer showrooms in February. Delphi's thin wall and ultra-thin wall cable not only meets halogen-free requirements and has the potential to be recyclable, but the superior physical properties of the insulation allow for size and weight benefits without compromising durability. This new cable also marks the first application of GE Plastics' Flexible Noryl resins in the automotive industry and, according to both Delphi and GE, is one of the most significant automotive wire insulation breakthroughs in many years. It delivers superior performance and durability in a smaller and lighter package. 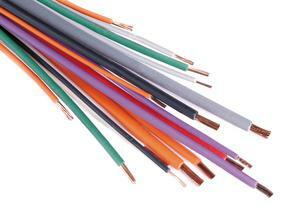 Further, the material composite offers potential for the cable to be recycled at end-of-life. Flexible Noryl™ resin, a new insulating material GE Plastics developed in collaboration with Delphi helps create many of these benefits. "Using the resin, the two companies developed a cable that meets Toyota's specifications," said Stefaan Vandevelde, global product business unit director, Delphi Electrical/Electronic Distribution Systems. "Toyota, an industry leader in environmentally progressive vehicles, wanted an environmentally responsible replacement for polyvinyl chloride (PVC) and cross-linked polyethylene (XLPE) cable," said Doug Gruber, product business unit director, Delphi Electrical/Electronics Distribution Systems North America. "Delphi believes that this new cable not only meets Toyota's environmental requirements, but in our evaluation exceeds the durability performance of other recyclable halogen-free cables on the market today." The insulation on Delphi's new ultra-thin wall cable is half as thick as conventional coatings in North America -- 0.2 mm versus 0.4 mm -- or about as thick as two sheets of paper, reducing wire/resin weight by up to 25 percent and wire diameter an average 28 percent. This, in turn, helps reduce the size of the wire bundle by as much as 40 percent. These reductions in weight and mass improve fuel efficiency and vehicle performance, enabling the original equipment manufacturer to fit more content into the same space. Delphi's thin wall and ultra-thin wall cables also meet chlorine- and lead-free parts requirements, and have twice the pinch resistance and four times the scrape abrasion resistance as PVC cable with equal insulation thickness. "Our combined efforts with GE Plastics allowed Delphi to meet our customer's expectations," Gruber said. "GE worked hand-in-hand with our team to help find the right formulation to ensure all of our requirements were met. GE's product engineers have been very responsive in helping us provide new technology to our customer that further differentiates Delphi from other suppliers." "Today's consumers are increasingly aware of the environmental impact of their purchasing decisions," said Greg Adams, vice president, Automotive, GE Plastics. "While this revolutionary solution may not be visible to the eye of the everyday consumer, it is a significant breakthrough. Toyota's acceptance of this technology is important to the industry." Delphi's halogen-free thin wall and ultra-thin wall cable was selected as an example of the positive benefits of GE ecomagination strategy when it was introduced. Ecomagination is an initiative to aggressively bring to market new technologies that help customers meet pressing environmental challenges. True to the spirit of ecomagination, Delphi's halogen-free cable does not just provide an economically responsible cable, it provides a smaller, lighter, more durable cable that enables automotive manufacturers to add more features in less space while improving fuel economy. Delphi has supported Toyota for more than 20 years. Delphi's technology -- ranging from air conditioning systems, steering columns, sensors, electrical/electronics distribution systems, and more -- is currently featured on 14 Toyota vehicles, including the popular Corolla, Camry and Avalon. Delphi has also expanded its global footprint to better serve Toyota -- including the opening of a new sales office in Toyota-city last December, and the opening of the new Delphi Furukawa Customer Service Center in Ann Arbor, Mich., last July. For more information about Delphi Corp. (PINKSHEETS: DPHIQ), visit www.delphi.com. This press release, as well as other statements made by Delphi may contain forward-looking statements that reflect, when made, the Company's current views with respect to current events and financial performance. Such forward-looking statements are and will be, as the case may be, subject to many risks, uncertainties and factors relating to the Company's operations and business environment which may cause the actual results of the Company to be materially different from any future results, express or implied, by such forward-looking statements. Factors that could cause actual results to differ materially from these forward-looking statements include, but are not limited to, the following: the ability of the Company to continue as a going concern; the ability of the Company to operate pursuant to the terms of the debtor-in-possession financing facility; the Company's ability to obtain Court approval with respect to motions in the chapter 11 cases prosecuted by it from time to time; the ability of the Company to develop, prosecute, confirm and consummate one or more plans of reorganization with respect to the chapter 11 cases; the Company's ability to satisfy the terms and conditions of the Equity Purchase and Commitment Agreement; the Company's ability to satisfy the terms and conditions of the Plan Framework Support Agreement (including the Company's ability to achieve consensual agreements with GM and its U.S. labor unions on a timely basis that are acceptable to the Plan Investors in their sole discretion); risks associated with third parties seeking and obtaining Court approval to terminate or shorten the exclusivity period for the Company to propose and confirm one or more plans of reorganization, for the appointment of a chapter 11 trustee or to convert the cases to chapter 7 cases; the ability of the Company to obtain and maintain normal terms with vendors and service providers; the Company's ability to maintain contracts that are critical to its operations; the potential adverse impact of the chapter 11 cases on the Company's liquidity or results of operations; the ability of the Company to fund and execute its business plan (including the transformation plan described in Item 1. Business "Potential Divestitures, Consolidations and Wind-Downs" of the Annual Report on Form 10-K for the year ended December 31, 2005 filed with the SEC) and to do so in a timely manner; the ability of the Company to attract, motivate and/or retain key executives and associates; the ability of the Company to avoid or continue to operate during a strike, or partial work stoppage or slow down by any of its unionized employees and the ability of the Company to attract and retain customers. Additional factors that could affect future results are identified in the Annual Report on Form 10-K for the year ended December 31, 2005 filed with the SEC including the risk factors in Part I. Item 1A. Risk Factors, contained therein. Delphi disclaims any intention or obligation to update or revise any forward-looking statements, whether as a result of new information, future events and/or otherwise. Similarly, these and other factors, including the terms of any reorganization plan ultimately confirmed, can affect the value of the Company's various pre-petition liabilities, common stock and/or other equity securities. Additionally, no assurance can be given as to what values, if any, will be ascribed in the bankruptcy cases to each of these constituencies. A plan of reorganization could result in holders of Delphi's common stock receiving no distribution on account of their interest and cancellation of their interests. In addition, under certain conditions specified in the Bankruptcy Code, a plan of reorganization may be confirmed notwithstanding its rejection by an impaired class of creditors or equity holders and notwithstanding the fact that equity holders do not receive or retain property on account of their equity interests under the plan. In light of the foregoing, the Company considers the value of the common stock to be highly speculative and cautions equity holders that the stock may ultimately be determined to have no value. Accordingly, the Company urges that appropriate caution be exercised with respect to existing and future investments in Delphi's common stock or other equity interests or any claims relating to pre-petition liabilities.